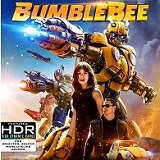 The Transformers re-boot Bumblebee is now available on 4K Ultra High Definition with included Blu-ray and digital code. As Cybertron falls, Bumblebee heads to Earth where he makes immediate enemies, but also finds an unlikely friend. As he acclimates to his new environment, The Decepticons aren’t far behind, desperate to locate Optimus Prime. 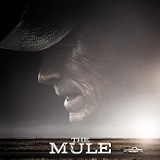 Earl Stone (Clint Eastwood) is a man in his 80s who is broke, alone and facing foreclosure of his business when he is offered a job that simply requires him to drive. Easy enough, but, unbeknownst to Earl, he’s just signed on as a drug courier for the cartel. He does well—so well, in fact, that his cargo increases exponentially, and Earl is assigned a handler. But he isn’t the only one keeping tabs on Earl; the mysterious new drug mule has also hit the radar of hard-charging DEA agent Colin Bates (Bradley Cooper). And even as his money problems become a thing of the past, Earl’s past mistakes start to weigh heavily on him, and it’s uncertain if he’ll have time to right those wrongs before law enforcement, or the cartel’s enforcers, catch up to him. Jennifer Lopez stars in the comedy/drama Second Act, about a woman frustrated about missing opportunities due to lacking education. The film is directed by Peter Segal (Tommy Boy, Anger Management, 50 First Dates). A supporting cast of Leah Rimini, Milo Ventimiglia and Vanessa Hudgens are there to support Lopez’s character as she makes big changes in her life. 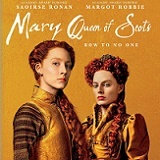 Mary Queen of Scots explores the turbulent life of the charismatic Mary Stuart (Academy Award nominee Saorise Ronan), Queen of France at 16, widowed at 18, Mary defies pressure to remarry and instead returns to her native Scotland to reclaim her rightful throne. By birth, she also has a rival claim to the throne of Elizabeth I (Academy Award nominee Margot Robbie), who rules as the Queen of England. Determined to rule as much more than a figurehead, Mary asserts her claim to the English throne, threatening Elizabeth’s sovereignty. Rivals in power and in love, the two Queens make very different choices about marriage and children. Betrayal, rebellion and conspiracies within each court imperil both Queens-driving them apart, as each woman experiences the bitter cost of power. Mark Wahlberg and Rose Byrne star in the heartwarming comedy/drama, Instant Family. The film follows the couple through their adoption from foster care. Instant Family is available to own on Blu-ray, DVD, and Digital Copy. 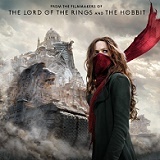 Mortal Engines, based on the award-winning book series by Phillip Reeve, is now available to own on 4K Ultra HD, Blu-ray, DVD and Digital. The director, Christian Rivers, is an Oscar winning visual effects artist (King Kong). The creative team behind the Lord of the Rings films (Peter Jackson, Fran Walsh and Phillipa Boyens) was on board to bring you this epic tale of post-apocalyptic moving cities. The Legally Blonde Collection is now available to own on Blu-ray. The collection includes a two-disc set with each movie and related special features on its own Blu-ray. In both films, Reese Witherspoon stars as Elle Woods, a woman on a mission. In Legally Blonde, she wants to win back the love of her life. In its sequel, she hopes to protect her dog and others like him from animal testing. 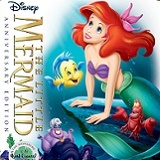 In honor of its 30th anniversary, two-time Academy Award-winner (Best Original Score and Best Original Song “Under the Sea,” 1989) The Little Mermaid, dives into the highly celebrated Walt Disney Signature Collection with all-new bonus features and a sing-along mode. The magical, musical tale of mermaid princess Ariel — along with loveable sidekicks Sebastian and Flounder, and the love-to-hate sea witch Ursula — is shore to make a splash with all generations when it comes home for the first time Digitally in HD, 4K Ultra HD and Movies Anywhere on Feb. 12, and on 4K Ultra HD and Blu-ray on Feb. 26. The sequel to the wildly popular Disney movie Wreck-It-Ralph is now available to own. John C. Reilly and Sarah Silverman are back as Ralph and Venelope. They are joined by the voices of Gal Gadot, Taraji P. Henson, Alfred Molina, and Alan Tudyk (in a new role). 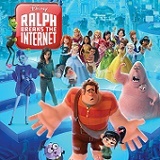 Six years after the antics from the first film, Ralph and Venelope take an adventure to the internet via a wi-fi router and discover a whole new world. From Academy Award Winner, Steve McQueen, the director of Twelve Years a Slave, and from Gillian Flynn, the writer of Gone Girl, comes a powerful thriller with a stellar cast, including Oscar Winner Viola Davis, Michelle Rodriguez, Elizabeth Debicki and Cynthia Ervio. Four women – with nothing in common except a debt left by their deceased husbands’ criminal acts – conspire to take fate into their own hands. 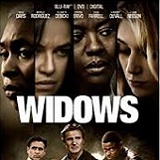 Also featuring Colin Farrell, Robert Duvall and Liam Neeson, Widows delivers explosive action and gripping suspense!